a southern hemisphere object. IC 2944, also known as the Running Chicken Nebula or the Lambda Centauri Nebula, is an open cluster with an associated emission nebula found in the constellation Centaurus, near the star Lambda Centauri. 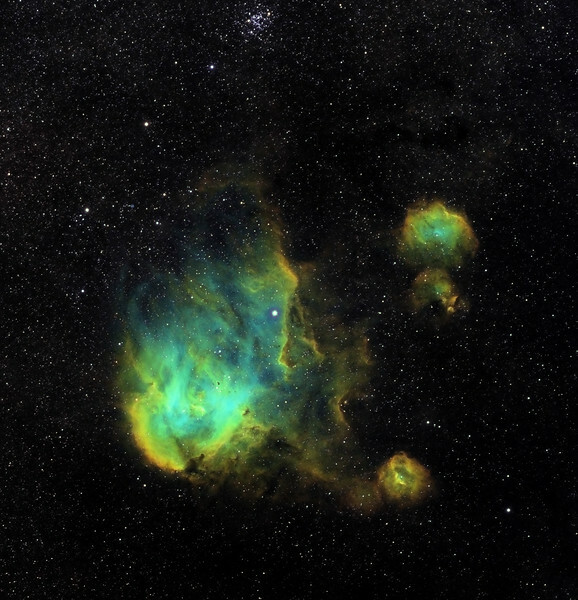 It features Bok globules, which are frequently a site of active star formation.